Do You "Really" Know What's On Your Network? Can you secure your network without knowing what devices are on your network, or what applications run on them? Not really. 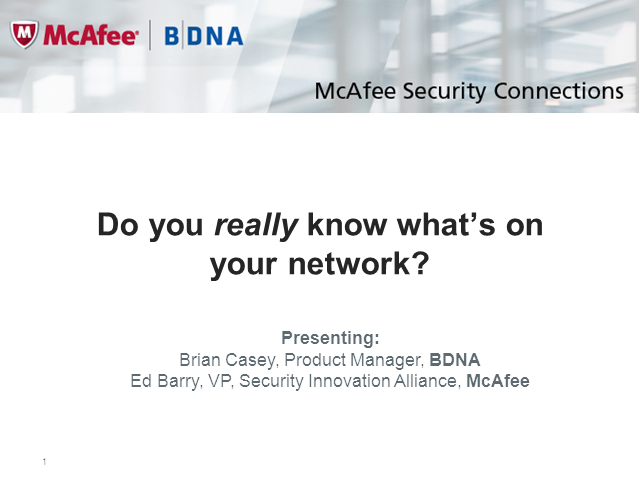 McAfee and BDNA have teamed up to detect all invisible devices and applications on enterprise networks and to bring them under a policy driven security umbrella. Title: Do You "Really" Know What's On Your Network?